Evans Alliance is a full-service marketing agency. As leaders in Web Design, SEO, Social Media, Email Marketing, and a proprietary suite of Digital Services, we offer more than just marketing services. We’re innovators and strategists skilled at creating the perfect balance between traditional and digital marketing platforms. You will find us an indispensable partner in planning, creating, designing, purchasing, and managing an array of advertising media. We understand the intricacies of your business and the many issues you face every day. Evans Alliance has tailored our business to help you achieve results with your marketing initiatives and goals while maintaining a keen eye on the bottom line. We simplify your life by handling all the details. We improve your life by perfecting your brand. We increase your visibility by letting people know who you are and what you do. At Evans Alliance it’s not just what we do …It’s how we do it. First, we determine who you are, and what you do better than anyone else —particularly your competition. With your guidance, we then identify your ideal customer — your target market. After evaluating your current outreach techniques and researching all available advertising mediums, we design a unique solution that will help you reach your business objectives. Once we understand the challenge, we present you with a recommended group of solutions and an array of marketing and advertising options. We then develop a customized “Marketing Navigator” for your business. At first glance, the Navigator resembles an advertising budget or media plan. As time goes on, it becomes an indispensable guidance system to help each business leader measure the performance of past advertising initiatives and anticipate the road ahead. We consider the symbiotic nature of multiple media channels and the critical importance of timing. We endeavor to strike a balance between multiple initiatives that work together to achieve measurable results. In the end, the perfect formula is one where all the elements of the marketing mix are skillfully utilized in disciplined proportions. Our comprehensive and proven approach is currently used by some of the most successful companies in multiple sectors all over the world. 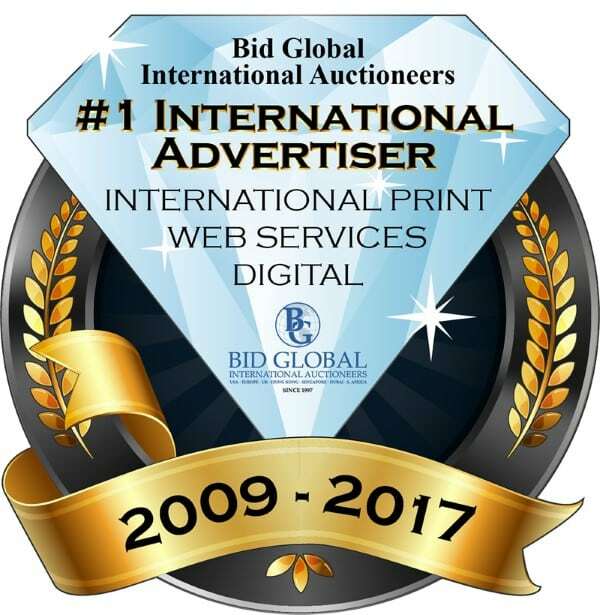 Since 1997 Bid Global has led the way in Jewelry Auctions throughout the United States, Hong Kong, Singapore and United Kingdom. They are leaders of diamond and precious stone auctions marketing this precious inventory for the largest and most important diamond sight-holders in the world. Evans Alliance has created and implemented successful marketing campaigns spanning 3 continents, 4 languages with both digital and traditional marketing and advertising strategies. Today, Bid Global clients are among the most affluent and influential demographic in the world.